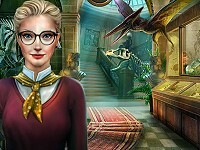 Description: Mahayana Temple is a hidden object game. The Buddhist Shinshi is a follower of the Mahayana philosophy. When he was very young, he spent his child years in a Mahayana temple and even if he is quite old now, he simply can't forget that period of his life and he always remembers it. His biggest wish is to collect money and renovate the teacher's room, making a place for the other followers of Mahayana .Let's take a tour through this place and feel the spirit of this great philosophy of life. . Mahayana Temple is a Hidden Object Games.